As the October 15 deadline approaches for President Donald Trump to inform Congress if he will recertify the nuclear deal with Iran, or the Joint Comprehensive Plan of Action (JCPOA), his final decision presents a great opportunity for him to chart his own course in Republican foreign policy—one that puts Americans’ interests above the interests of their Middle Eastern allies, who consider Iran their greatest geopolitical threat. Congress passed the Iran Nuclear Agreement Review Act (INARA) right after the JCPOA, requiring the president to inform Congress every three months if Iran is complying with the nuclear deal. If the president finds that Iran is not complying, the United States doesn’t automatically exit the deal, rather, Congress then has 60 days to decide whether to reimpose economic sanctions on the country. 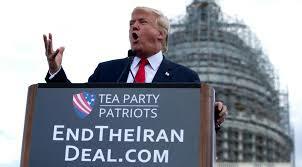 During the presidential campaign, Trump often criticized the JCPOA as “an embarrassment to our country,” saying Obama should have treated the release of American prisoners in Iran as a prerequisite for any deal, and claiming Obama gave Iran the impression that it would not walk away from the negotiating table regardless of the outcome. But Iran’s missile program can’t reach the U.S. Furthermore, even if it could, without nuclear warheads, it would be completely impotent against the superior conventional militaries of Israel and the U.S., not to mention the U.S. nuclear arsenal. In addition, Iran’s missiles don’t factor into the deal. Nikki Haley, U.S. Ambassador to the United Nations, has also expressed outright hostility toward the deal and the nation of Iran itself. In a speech to the American Enterprise Institute (AEI) on September 5, she insisted that Iran has violated the deal. But the only two examples she could give were when Iran briefly exceeded its suggested limit of heavy water twice in 2016. Under the agreement, Iran is only allowed enough heavy water as it needs, and the signatories estimated that 130 tones would be enough. The reason for this limit is that such water could be used as a moderator in nuclear power stations, which could then produce plutonium from the spent fuel of the reactors. Once Iran reaches that level, it’s supposed to sell its excess water. But, Obama was not purposely looking for an excuse to rip the deal up like Trump and Haley. Furthermore, when the IAEA brought the issue up, Iran complied in a timely manner and shipped the excess water to the country of Oman. Haley said the IAEA “does good work,” but pointed out that the agency is saying that “of the sites they’ve seen, the Iranians are in compliance.” She said that “no one is talking about the sites they haven’t seen.” She is convinced the Iranians are trying to develop a nuclear weapon at military bases, and has been lobbying the IAEA hard to demand the Iranians allow the agency to conduct intrusive inspections of those bases. She offers no proof for her suspicions, and bases her reasoning on nothing more than Iran’s history of belligerence toward the U.S., most of which predates her graduation from high school. The IAEA to our knowledge has not requested access to any site and been denied. Furthermore, the agency cannot and should not seek access to a site simply to test the Iranians’ cooperation. They must have a legitimate reason. Nevertheless, Haley and others in the foreign policy establishment, who are urging Trump to decertify the deal, would not be satisfied if Iran was found in compliance after opening all its military bases. 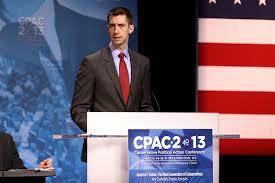 Senator Tom Cotton (R-Arkansas) said as recently as October 3 that Trump should decertify the deal, even if Iran is complying. But how bad of a deal is the JCPOA really, for the U.S.? The deal provides Iran with over $100 billion, but that money is not foreign aid—it’s Iran’s own money that the U.S. and other countries froze when they placed sanctions on the country. What does the U.S. get in return? Americans get peace of mind, if they want it, that Iran is not developing nuclear weapons. It may be decades before Iran’s government moderates and modernizes; but in the meantime, it would be much easier for the U.S. if it could focus on its citizens and on countries that actually pose a geopolitical threat, while letting the International Atomic Energy Agency (IAEA), which inspects Iran for compliance, keep an eye on Iran. Trump has so far recertified the deal twice, and the IAEA has confirmed eight times that Iran is complying with the deal. Furthermore, most in Trump’s administration have concurred with the IAEA, and see no reason for the U.S. to withdraw. The nuclear agreement with Iran is by no means a perfect deal for anyone involved, but it offers a better alternative than the option that Haley and other anti-Iranian hawks prefer. Unless Iran clearly violates the terms of the agreement, the U.S. has no reason to abandon the deal. It’s really about regime change in Tehran. For many “conservatives,” however, it’s not about compliance, or even the “terrible deal” itself—it’s about regime change in Tehran. In a speech at the Commonwealth Club of California in 2007, General Wesley Clark, Supreme Allied Commander of NATO during the 1999 War on Yugoslavia, claimed that the U.S. experienced a foreign policy coup after the 9/11 attacks. “Some hard-nosed people took over the direction of American policy, and they never bothered to inform the rest of us,” he said. He went on to recall that a general in the Pentagon told him in 2001 of a policy memo, that laid out a plan to overthrow the governments of seven countries in the Middle East (Iraq, Syria, Lebanon, Libya, Somalia, Sudan and Iran), within five years. As head of the CIA, Pompeo has approved new authorities for U.S. intelligence officers to begin placing funds in secret accounts belonging to Iranian officers to create the impression that those officers are working for foreign powers. Shortly after Trump’s inauguration, Politico reported, that the Foundation for Defense of Democracies, a D.C.-based think tank, circulated a seven-page memo throughout the National Security Council and the White House, urging the new administration to enact regime change in Iran. Newsweek reported that Henry Kissinger, Secretary of State under former President Richard Nixon, also visited the White House shortly after Trump’s inauguration to advise the president on the Islamic State (ISIS). Kissinger cautioned that defeating ISIS could lead to a “radical Iranian empire” across the Middle East. The West yearns for stability, and holds out a naive hope that the military defeat of IS will be instrumental in reaching that goal. But stability is not a value in and of itself. It is desirable only if it serves our interests. To wage war on the Iranian regime is to wage war on the Iranian people. But, what those on the warrior bandwagon fail to understand is that any attempt to wage war on the Iranian regime, regardless of how dissatisfied most Iranians are with their backward government, would necessarily wage war on the Iranian people. Iran’s president Hassan Rouhani won all the major Sunni-populated provinces by overwhelming margins in this year’s election. This says something about Iranian religious minorities’ view of Rouhani, considering voter turnout in those provinces exceeded the national average. Furthermore, Iran is not an artificially created country, like Iraq and most African countries that were colonies of the West. 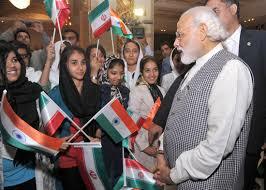 Iranians of all religious affiliations and ethnicities can trace their history in Persia back three thousand years. But a more pressing problem for the would-be saviors of the oppressed Iranian people is the fact that there is no serious opposition to empower. Iran’s only operational dissident group is the Mujahideen-e Khalq (MEK), with roughly 5,000 to 13,500 members. The fact that most of them are dispersed outside of Iran means that MEK could not possibly destabilize Iran’s government. Furthermore, the group sided with Saddam Hussein in the eight-year war between Iraq and Iran that cost hundreds of thousands of Iranian lives; meaning MEK is not even popular with the Iranian people. Some may argue the U.S. could heavily arm the group the way it has done with dozens of dissident groups throughout history. But the State Department has already designated MEK as a terrorist organization. Another argument for regime change is that all Iranian politicians must be hard-liners, because they have to support the revolutionary philosophy of the Islamic Republic to get elected. But this kind of thinking automatically assumes all Iranian politicians take their constitution more seriously than American politicians take theirs. But the U.S. has already been down this path before. In 1953, the U.S. overthrew Mohhamad Mossadegh because he started drifting a little too far to the left for Cold War sensibilities. A quarter century later, in 1979, Iranian revolutionaries cited that grievance more than any other as the reason for their 444-day occupation of the U.S. embassy. Regime change sounds like a noble goal to pursue when it is on paper and in theory, but it is because of regime change that a nuclear Iran is an issue in the first place. Where does President Trump really stand on Iran? Trump’s motives for his opposition to the JCPOA are a bit harder to pin down than most politicians. For starters, the president is no ideologue, and takes practical conservatism to a level unseen in recent American politics. But while the virtues of homespun, practical conservatism are many, it can just as easily produce dangerous, homespun ignorance. In a televised speech at the Rose Garden with the Lebanese prime minister, Trump praised Lebanon’s government for fighting Hezbollah—a militia with representation in the Lebanese parliament. A former U.S. official, in fact, has told Reuters that Hezbollah and Iranian-backed Shiite militias in Iraq have been “very helpful” in recapturing vast swaths of the caliphate that ISIS declared in 2014. Iran just test-fired a Ballistic Missile capable of reaching Israel. They are also working with North Korea. Not much of an agreement we have! The tweet was in response to a video of the test firing of a Khoramshahr missile that aired on Iranian state television. The only problem is that the video footage was from a failed Iranian missile test last year. But bombastic gaffes and seeking out advice from militaristic ideologues doesn’t automatically make the president and his administration militaristic. Unlike Ted Cruz, who promised to rip the deal to shreds “on the very first day in office,” candidate Trump promised to honor America’s word to its allies, who also signed the deal with Iran. This doesn’t imply that Trump, or his economic nationalist support base are interested in pursuing a costly, covert, or overt crusade to topple the Iranian regime. Trump views his image above all else. If he thinks it will help his image to remain in the deal, he will. If he feels it would make him look like a strong leader to tell the rest of the world to take a hike, like he did with the Paris Climate Accord, he will do that instead. The fact that Trump hates being forced to recertify a law he railed against fits his broader persona. Trump dislikes the nuclear deal with Iran for much the same reason he dislikes the Affordable Care Act (Obamacare)—they’re not his deals. Trump’s tirades against the JCPOA could be his way of railing against the INARA, which requires his personal stamp of approval every three months on his predecessor’s legacy. If Trump decertifies the JCPOA, what then? If Trump decides to declare Iran in noncompliance on October 16, would Congress be willing to reimpose sanctions unilaterally without the support of America’s allies? The objections of the deal’s critics don’t make sense without any grand vision of forced regime change in Iran. Although the IAEA inspections are not as intrusive as people like Haley would prefer, at least the West gets to monitor Iran’s nuclear program—a luxury we don’t have with North Korea. The U.S. will never force Iran to give up its nuclear program, a program more than 80 percent of the Iranian population supports, without declaring war on the country and launching a full-scale invasion. 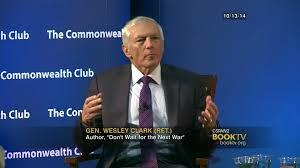 But if one believes General Wesley Clark, such a plan would not fall beneath many in the foreign policy establishment. But even if Trump decertifies the deal and Congress reimposes sanctions, U.S. allies would likely not do the same. After Trump’s remarks at the UN, 78 European officials signed a letter to his administration, expressing great concern over “reports that the U.S. Administration might unilaterally declare Tehran non-compliant with the 2015 Iran nuclear deal.” The letter quotes the IAEA’s director general who declares Tehran in compliance and states, “Iran is now subject to the world’s most robust nuclear verification regime.” In addition, more than fifty Asia Pacific political, diplomatic, military and civil society leadership figures also signed a joint statement urging the U.S. to uphold its end of the bargain. This is a recipe for a trade war between the U.S. and the rest of the developed world if Washington tries to impose secondary sanctions on other countries’ financial institutions for not bending to its will. American citizens do face existential threats. Among them: hurricanes, floods, a madman leading a brainwashed regime in North Korea, and rising insurance premiums because of the Affordable Care Act that prevent people from getting the healthcare they need. But a nuclear-gagged regime with a limping economy in the Middle East and a few hundred rockets, that can’t even reach Western Europe, is not one of them. “This could be the calm before the storm,” said Trump at the White House on Friday. “On Iran? On ISIS? On what?” asked a reporter. “You’ll see,” came the subtle reply, with a wink, as the president and first lady posed with military leaders and their wives for a photo-op. Afghanistan, then Americans have already seen. They saw for eight long years as thousands of lives and millions of dollars sank in Iraq. They saw as the most left-wing administration in the nation’s history rose from the frustration Americans felt toward a senseless, so-called “conservative” foreign policy. Then, they saw as ISIS rose from the ashes they left behind, to become a greater menace than the original evil they sought to depose. Obama nailed it in 2012. “The 1980s called and they want their foreign policy back,” he said, mocking Mitt Romney’s boorish, Cold War-lite statements. Apparently, they’re still on the phone. Do Teachers’ Unions Weaken the Immune System? A new study shows unionized teachers are more than twice as chronically absent as non-unionized teachers. Teacher absenteeism in schools has turned into a chronic plague of hypocrisy: schools insist students be present, but can’t seem to get their faculty to do the same. A recent report by the Thomas B. Fordham Institute’s senior research and policy associate David Griffith shows that teachers have worse work attendance than their peers in other industries and teachers in other countries. The report, entitled, Teacher Absenteeism in Charter and Traditional Public Schools, reveals that school teachers in the United States miss about eight school days a year because of sick and personal leave, while the average U.S. worker takes about three-and-a-half sick days a year. This is in addition to the days off that teachers receive for vacation, holidays, professional development days, and field trips. Griffith defines “chronic absence” as when a teacher misses more than ten school days for “sick” or “personal” leave. When he compares public school teachers with charter school teachers in this area, the difference is quite glaring. Public school teachers are almost three times as likely to be chronically absent as charter school teachers, 28 percent to 10 percent. This is true in 34 of the 35 states that have a large percentage of charter schools. In eight states and the District of Columbia, public school teachers are at least four times as likely as charter school teachers to be absent. So, is the air in public schools more contaminated than in charters schools, thus causing all these public school teachers to get sick at a much higher rate than their counterparts? The study finds the gap is the widest in areas that require public school teachers, but not charter school teachers, to bargain collectively. It also shows that it is not an issue of public schools, but of unionization. Unionized charter school teachers are twice as likely to be chronically absent from work as non-unionized charter school teachers. National Review’s Frederick Hess aptly remarks, “Anyone who’s spent any time in classrooms knows the sad truth that little gets done when substitute teachers are in the saddle,” and points out that Griffith’s statistics indicate that teacher absenteeism alone cost a fourth of the country’s schools last year to lose fully two weeks of learning. The report’s results “suggest that the high chronic absenteeism rates we observe for teachers in traditional public schools are at least partly attributable to the generous leave policies enshrined in state laws and local collective bargaining agreements—and that the chronic absenteeism rate in many places could be reduced without exploiting teachers.” One proposal Griffith suggests is states consider teacher absenteeism as a “nonacademic indicator” of a school’s success in the same way that student absenteeism factors in the Every Student Succeeds Act (ESSA). He also suggests that schools could seriously cut down on absenteeism by eliminating the carrying over of sick days from one school year to the next while simultaneously adopting generous maternity leave policies. In response, union leaders across the board discounted the study’s results. Robert Walsh, executive director of National Education Association, Rhode Island dismissed Fordham as “a right-wing think tank that attacks unionized public schools.” National Education Association president Lilly Eskelsen-Garcia said, “Fordham is using corrupted assertions to draw misguided conclusions.” Randi Weingarten, president of the American Federation of Teachers even argues that the results show charter schools need better leave policies—so their teachers can experience the same level of absenteeism as union teachers. Doug Pratt of the Michigan Education Association discounted the study’s results, saying, When you walk into a building in the middle of winter, the flu bug that’s going around and sidelining students and staff can spread like wildfire.” But, Michigan ranks at the top in the number of charter schools; those teachers experience the same frigid climate as the state’s public schools without the corresponding absenteeism rates. Teachers in limbo are left to finish out each six hour day by napping, reading newspapers, doing crossword puzzles, or conducting menial tasks – stuffing envelopes and making paper copies. It’s a time-out the New York Department of Education has long denied even exists; yet it costs taxpayers $150 million each year in teachers’ salaries and benefits. …Unsurprisingly…many idlers are repeat offenders. Public school teachers, like all other tax-payer funded employees should receive just compensation for the job they do. But, they can’t do that job if they don’t show up; Griffith’s study shows that 28 percent of them are playing hooky on a regular basis.